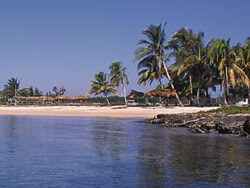 Hotel Description: Playa Larga is located deep in the Bay of Pigs, nestled between the beach and the forest. It is an ideal location for bird watching as well as vacationers who prefer to participate in water sports and indulge in the pleasures of this typically Caribbean cocktail of sand, sea, and sun. 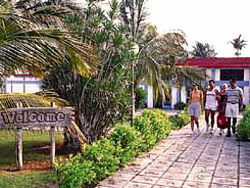 Beach, Budget Playa Larga - Hotel Details Address: Playa Larga, Matanzas Number of Rooms: 68 Distance to Airport: 131 Kms Breakfast included in price. Property Amenities: Bar, Garden, Parking, Swimming Pool, Restaurant Playa Larga - Room Standard Room Air Conditioning, Phone, Satellite TV, Private Bathroom, Balcony or terrace, Twin beds Check In Time: 02:00 PM Check Out Time: 12:00 M. Check other cienfuegos cuba hotels online. No reviews for Hotel Playa Larga yet.